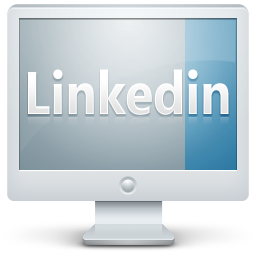 Social media sites are more popular than ever and with over 100 million users LinkedIn is in the top five most popular. LinkedIn is the world’s largest professional network and is an extremely resourceful tool for job hunters, recruiters, business owners, etc. Once you sign up for a LinkedIn account, you must create your professional profile. The more effective your profile, the more professionals can find you and connect with you. Below are ten things you can do to enhance your profile so it is the most effective it can be in building your network of connections. 1. Complete the Profile – This is very important in that you do not want a half-done, unprofessional profile. This will not accomplish much in the way of building your network of connections. Complete each section, completely and professionally to make the most of your online professional identity. According to LinkedIn, you are 40% more likely to be found in a LinkedIn search with a 100% completed profile as opposed to one that is not completely finished. 2. Always Use a Photo – There are many people who do not want to use photos for various reasons but you need to post a photo on your LinkedIn profile to get more results. You do not have to have a professionally taken photo but you do want it to look professional. People will be more likely to remember your profile if you present a photo of yourself. Photos can also increase the chances of people trusting you. 3. Use a Persuasive Headline – Don’t just plaster your name and title as your profile headline. Add a short slogan or benefit you provide. Compare the two headlines below and decide which one would capture your interest more. Virtual Assistant – I will free up your time and grow your business. You don’t even have to have your title, you can just stress the benefits you provide or the skills you possess. Use something that makes you the one to choose. 4. List Your Websites – Be sure to add your URL and/or blog to your profile. You can add up to three urls. Customize the tiles of your links as opposed to My Site, My Blog, etc. You can do this by choosing the “Other” category in the Edit Profile section. 5. Get Recommendations – Having people give you recommendations will increase your chances of being found as well as give people more reason to choose you and/or your business or connect with you. You can ask people who have worked with you or past customers for recommendations. If they like your work/service, they will be glad to give a testimonial. You can also trade with people you would recommend but always remember, your reputation is on the line every time you recommend someone so don’t ask random people to trade recommendations. 6. Video Presentation – Add a video presentation to your profile highlighting your skills, services, products, etc. You can do this by going to Google Presentations under “More” in the toolbar at the top of your profile page. Click on More Applications….. then scroll down to Google Presentations. Add the Application and follow the directions on creating your presentation. Be sure to check out the other apps as well for a more productive profile. 7. Experience and Skills – Be sure to list all your experience and skills using relevant keywords. Be thorough, precise and complete when describing your skills and your experience. Be sure to be grammatically correct and proofread every sentence. 8. Professional Summary and Specialties – When writing your summary, let people know what you are about and what you can do for them. Use short precise paragraphs. Get to the point and be convincing. List your Specialties so they are much easier to read and capture attention quicker. 9. Keep Active – Do NOT fill out your profile and never come back. You need to keep updating regularly and be active on your profile. Get involved with LinkedIn and become a participant. Nobody wants to connect with a dead page! 10. Join Relevant Groups – Joining groups is one way to stay active and become involved with other LinkedIn users and professionals. Participate in the discussions and offer help, advice, support whenever you can. When joining networking sites such as LinkedIn, you have to take the time to create productive profiles and pages. Put the time and effort into all the above enhancements and your LinkedIn profile will be much more effective. I was so involved in devouring your lists of books I didn’t even notice the assistance you offer. Thank you very much! I am glad to hear our site is helpful to you. Yes, I do provide unlimited email support with the purchase of an ebook store package. Our best deal is the entire inventory package special which gives you almost 2800 products plus the website plus unlimited email support anytime you have questions for just $300.00. Please feel free to email me anytime you need anything. Thanks again Anke!